John and Bridget eat Kraft Dinner (otherwise known as “Macaroni & Cheese” in the USA) like it’s going out of style. I don’t really see the appeal and much prefer the real thing. This recipe for Easy Macaroni & Cheese is almost as simple as the boxed stuff and contains real cheese! I’m working with the Dairy Farmers of Canada right now on a three month campaign and have the chance to try new cheeses every month. I decided to try this recipe with Big Brother cheese from Glengarry Fine Cheese in Ontario. It has a buttery flavour that is the perfect cheese for this recipe. If you can’t find it where you live, use regular cheddar cheese. Marble cheese is also good. I like that this recipe is fast to make. Once you’ve boiled your noodles, it’s just a matter of stirring in your ingredients and serving. I love adding lots of freshly ground pepper to mine. I find it gives it a nice kick. Mmm comfort food. I could eat this a few times a week if I wasn’t watching my weight! What ingredients do you use in your macaroni & cheese? So good you’ll never want the boxed stuff again! Cook macaroni according to package directions. Drain and return to the pot on the stove. Heat on low and add in butter and stir until melted. Stir in shredded cheese until melted. Add in sour cream and salt and pepper. Heat over low until sauce is covering all the noodles. my kids only like the boxed KD too, but this looks much healthier, without the yellow dye.. This looks delicious! I might try this sometime soon! A recipe I will have to try! Looks simple and delicious! I cannot stand the boxed stuff….I’ll definitely have to try this out! I have to admit that we do eat KD but we also love homemade mac & cheese. I have never seen a recipe before that had sour cream in it. What is Big Brother cheese? My mom made home made Mac and cheese all the time I never had the boxed stuff as a kid! I love home made but will eat the boxed too. An absolute favourite that we never tire of! Ohh Stacie I try to stay away from too much dairy (migraines) – but I read this right before supper! Now I want it badly…. and I have all the ingredients. what a quandary. I can make this recipe, thanks! It looks really good. My son prefers box mac & cheese oddly enough, lol. 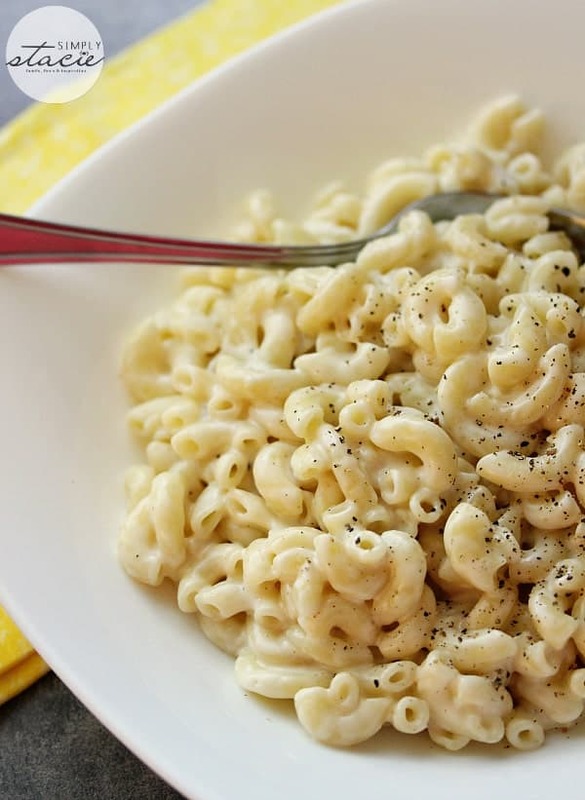 This is perfect, it’s delicious, fast, and easy to make, who doesn’t like mac and cheese? I can’t wait to give this a try, thank you for sharing this recipe. This Mac and Cheese looks much tastier than Kraft Dinner! This is so simple to make! Thank you for sharing–I think that’s what I’ll make tomorrow!! How incredibly simple this is to make! Mac ‘n cheese is my kids’ fave so I will be making this! I love homemade mac & cheese and so do my kids! Comfort food at it’s best! great recipe! we like to use a mixture of cheeses then top with croutons and bake it. Simple, fast, easy, and only uses one pot…a great recipe. How fun getting to try cheeses. They really do have different tastes and go well with certain foods. I will sometimes add peppers or salsa for my daughter and I. My husband likes hamburger in it and must have it extra cheesy. There are so many recipes out there and they are good to try. there is nothing I like more then a homemade mac & cheese! Thank you! Mmm, a new cheese to try! 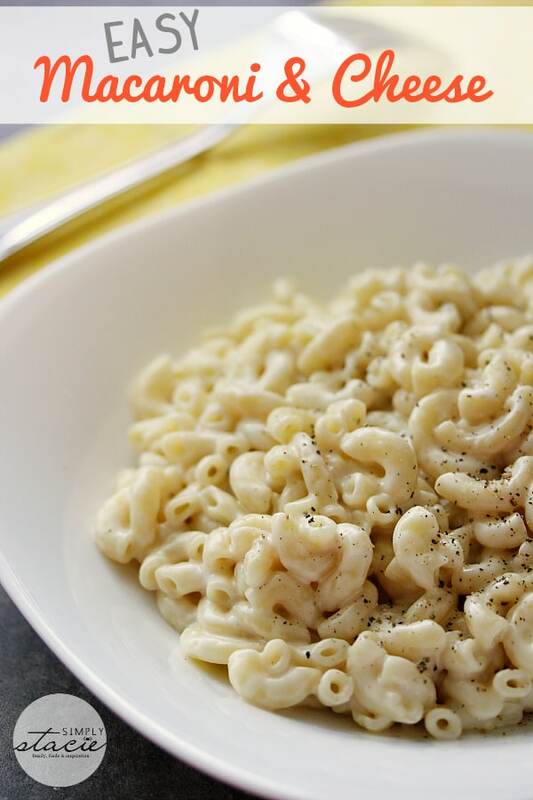 We love mixing up different kinds of cheese in our mac and cheese! This recipe looks really yummy, however….what is BIG BROTHER Cheese? Honestly, I didn’t know it was this easy – I will definitely give it a go! I wouldn’t have thought to use sour cream! Sounds creamy and yummy! This is my grand daughter’s favorite and I love your easy recipe. You weren’t kidding when you said it was easy and it looks great. I love adding in some broccoli or mushrooms to give it that little bit more health concious feeling. Thank you for posting this yummy recipe. I love mac and cheese. I am going to try this out! Looks really good, and super easy to make! Thanks for sharing your recipe! For some reason I always add just a touch of prepared mustard… lifts it right up. Like you I also like a fresh twist of black pepper on my mac. Wow that sure is easy! Have to give this recipe a try. Looks great! I always prefer home cooked to things out of a box. Haven’t done too much mac & cheese because most of the recipes I’ve come across have had too many ingredients and too many steps. This one is simple & I’ll have to definitely give it a try. Thanks for sharing. I like that this is simple and quick yet doesn’t have the preservatives that D would! I love the Kraft stuff too, especially the microwave cups, b/c they a fast, easy, and delicious for a snack or dinner. I’ve made homemade macaroni & cheese before but it was more work than your recipe. I love your recipe. The best part is that it’s a one-pot meal. yep, this is just how i like it, nice and cheesy. Looks super yummy and easy to make. I’m going to try this Mac & Cheese recipe out…I’ve been looking for my favorite without much success. I have come to the conclusion that the simpler is better.